Aside from our expert pharmacists at Platinum Care Pharmacy, we also have Licensed Practical Nurses(LPNs) onboard who can help you! 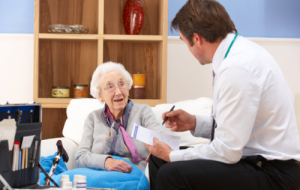 So, if you need Daily In-Home Medication Services, you can definitely rely on us to provide you with the assistance that you need. Our LPNs are dedicated to help you maintain your independence at home. They can visit you daily if referred by your doctor to help administer your medication. These are just some ways in which our LPNs can assist you with Daily In-Home Medication Services. So, if you would like to arrange for this service at your home, please don’t think twice about reaching out to us! Simply dial 604-385-0188 for arrangement purposes.